If you were to speak with a make-up artist or hair stylist about the most “ideal” face shapes there are, you’re definitely going to hear them mention oval in the top three. When it comes to hairstyles, one of the reasons is because it’s the kind of face shape that is perfect for so many different haircuts from updos to blow outs to the ever-so-chic pixie cut. 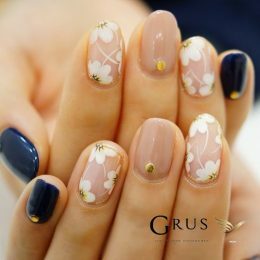 If you have an oval-shaped face and you’re thinking about going a bit shorter this season, you’ll be sure to find the kind of look that is perfect for you and your lifestyle below. Pink. Pink and even more pink! 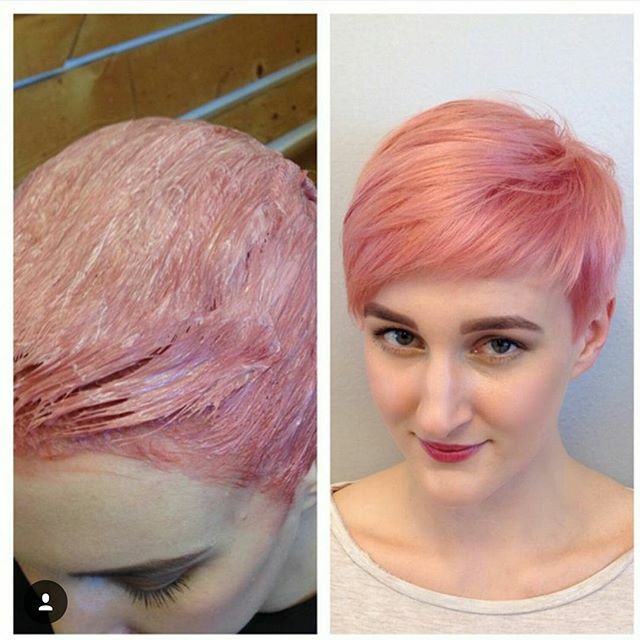 It’s one of the more popular hair colors this year, so why not try it out on your own pixie? 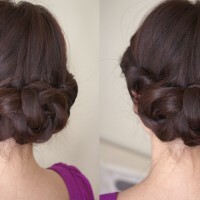 Just make sure that you have a professional stylist do it for you. That way, you can end up with healthy locks. If you want to wear a hairstyle that is pure funk, go with a Mohawk (both sides shaved) or even a half Mohawk (one side shaved) like this one. You can even create parts by having them shaved with a pair of clippers into your hair. 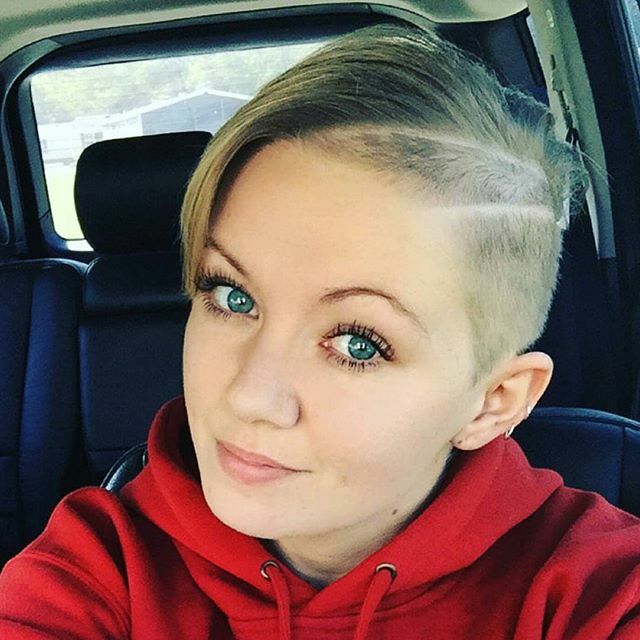 Technically, this is about as long as you can go when it comes to a pixie cut. 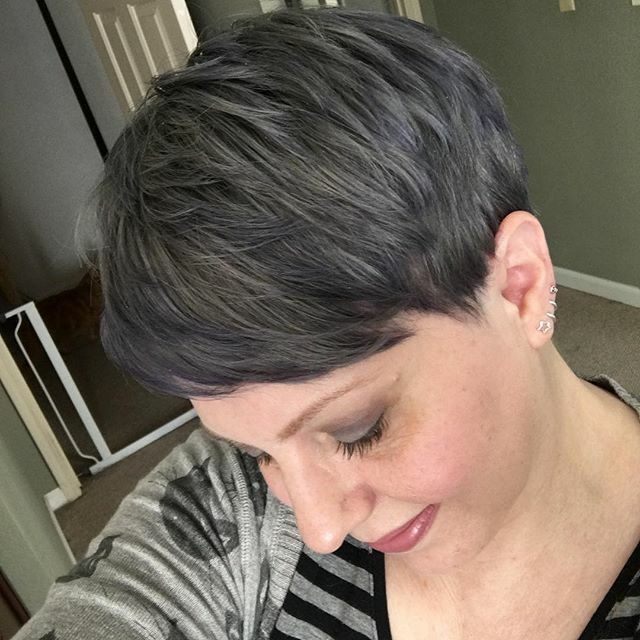 But if you already have really short hair and you’re thinking about making a transition into something longer, this is how to do so…gracefully. 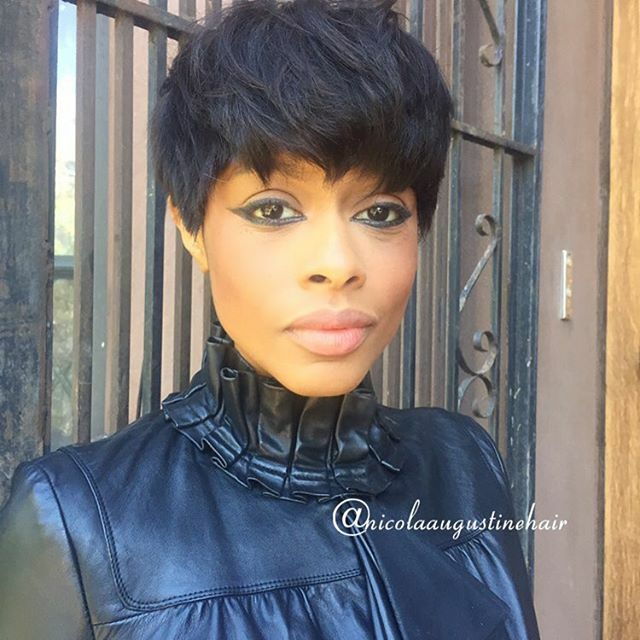 If you love bob cuts, check out these latest popular bob haircuts here. This is actually pretty similar to the pink pixie. 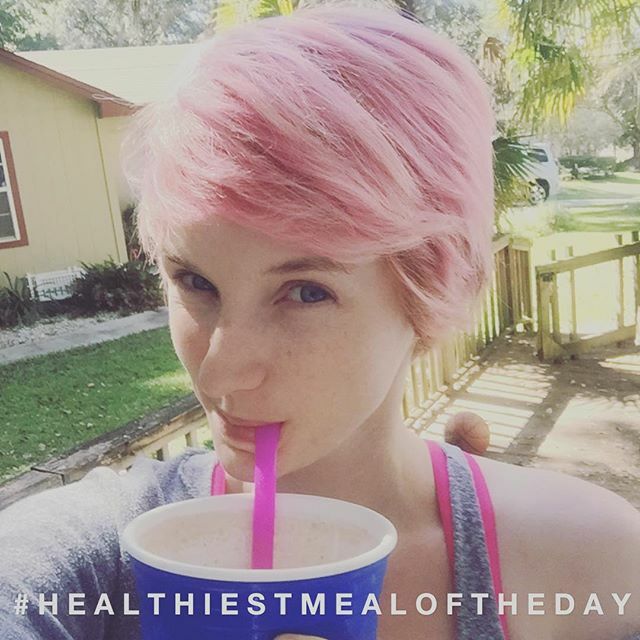 Only the color is more of a rose gold and the hair texture is naturally wavy. 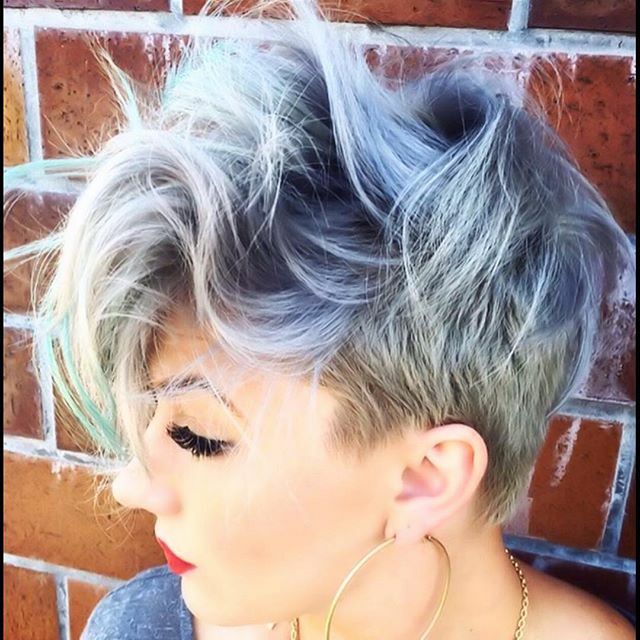 Although silver hair has been a trend for a couple of seasons now, it’s still a look that is really hot. 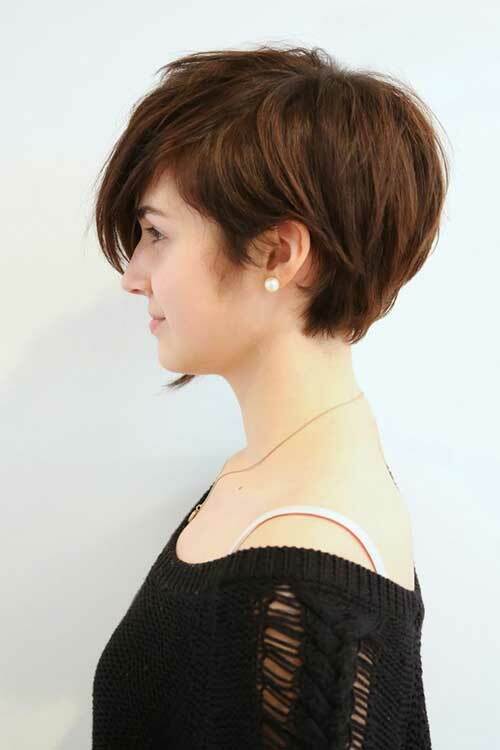 Especially if it’s featured in a choppy pixie cut like this one and the bangs are really long…like this one. Does your hair have a bit of a naturally wavy pattern? 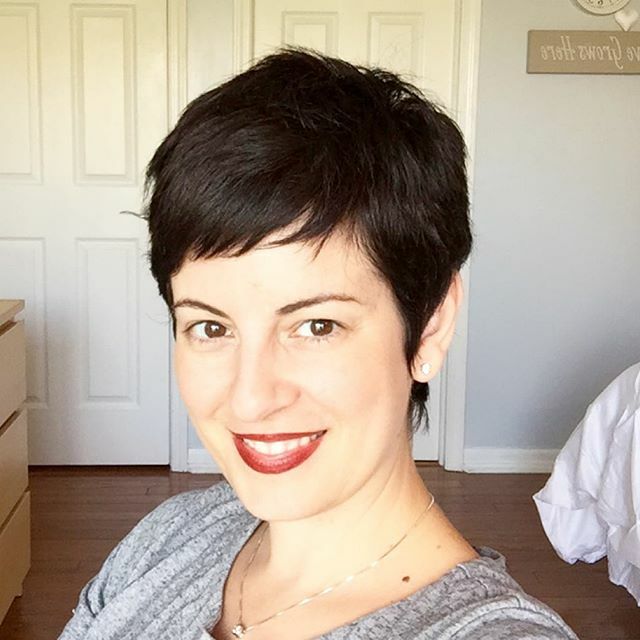 Why not try a pixie cut that has lots of long layers throughout the top and front and rather than drying it with a blow dryer, letting it air dry? 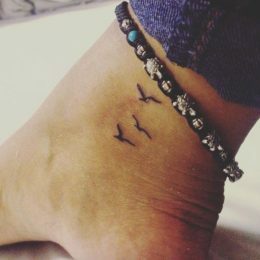 You can even add a touch of color to it like did. (Did you notice the sea foam green upfront? So hot!) 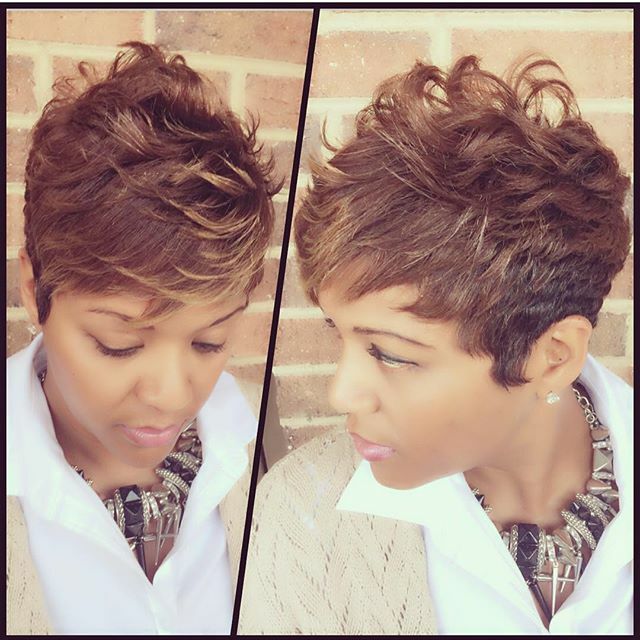 And here are more soft wavy curly pixie cuts for you to choose from. African American pixie cut – Yeah. We’re pretty sure that once upon a time, Halle Berry wore a pixie cut just like this one. And when a cut makes you think of a beauty like her, how could you possibly going wrong with it? 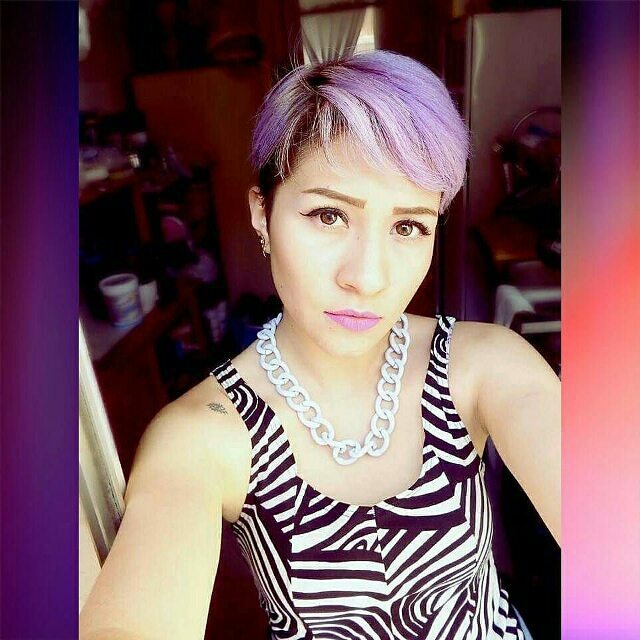 Purple. It’s the color of royalty. Shoot, and that alone should be enough of a reason to give it a try! 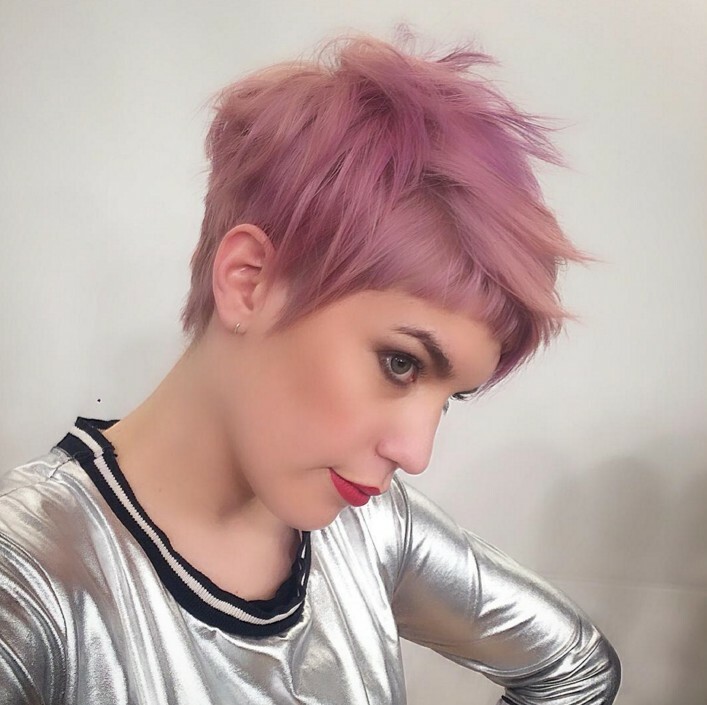 If you’d prefer to have the kind of pixie that has a considerable amount of length in the top and front and your hair is naturally on the thicker side, how about this look? 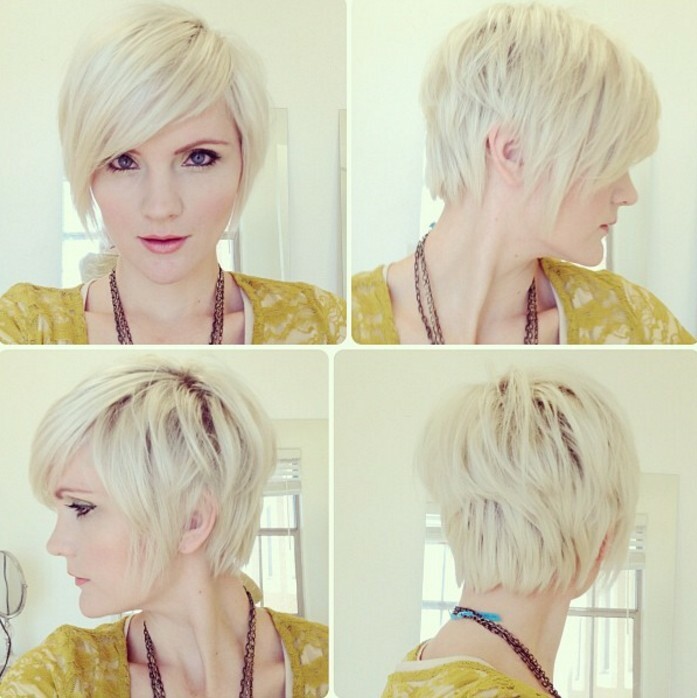 The high tapering in the back makes it the ultimate inverted pixie cut. 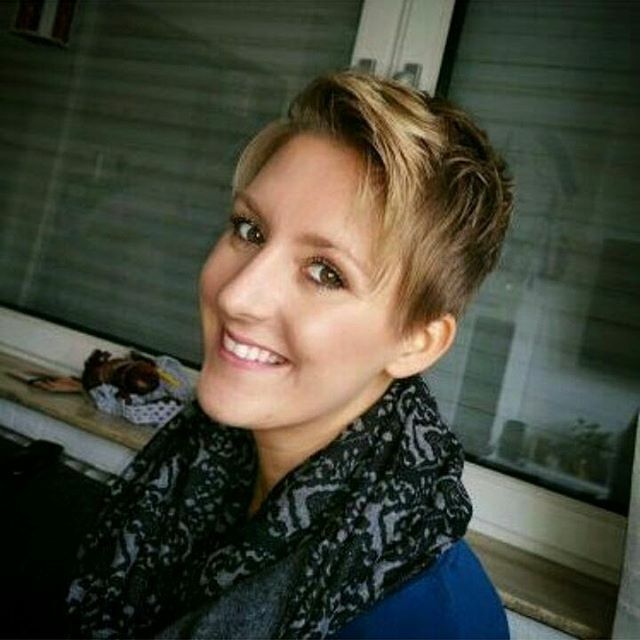 Short pixie haircut for 2016: The way a woman parts her hair can change everything about how a cut looks. So, although we’ve basically already shown you a haircut that is very similar to this one, it was still worth showcasing being that it has a side part (on the other side). This is a great short haircut for any ages. 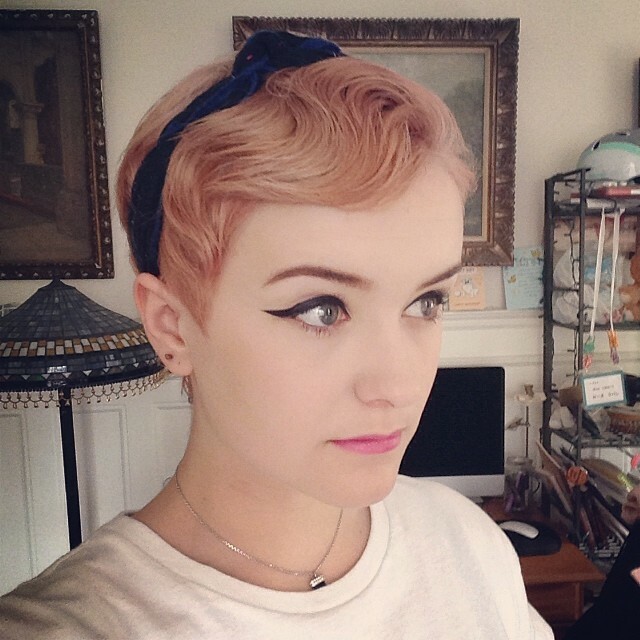 Wondering how to get the kind of pixie cut that looks a bit on the “messy style”? Rather than using a pair of shears, ask your stylist to cut your hair with a razor instead. You’ll be amazed by the kind of results that you get if you do. Layered pixie cut for short hair: Here’s a pixie cut that was also probably cut with a razor. The reason why it lays on her head so well is 1) her texture is a bit on the thinner side and 2) her hair is also straight. And what can you do to make your hair look a bit thicker? And some highlights throughout the front and top. It makes sense that this hair model has a picture of Wynona Rider because back in the 80s and 90s, she was quite the “it” girl when it came to Hollywood. 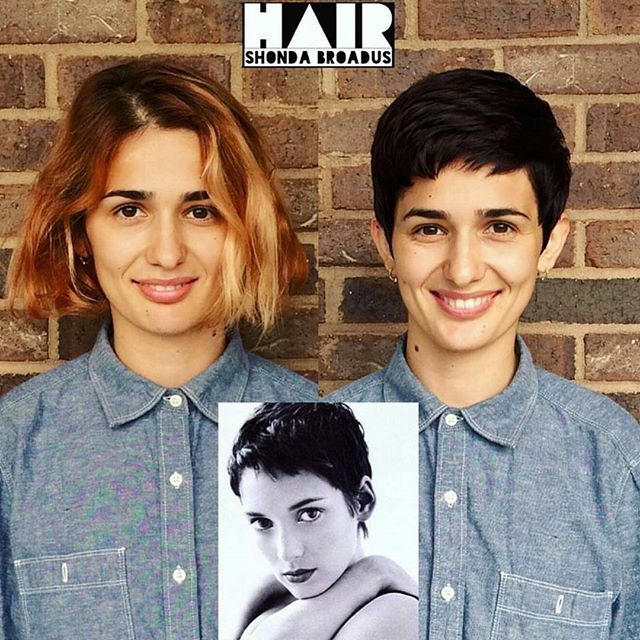 If you’re someone who likes to pay homage when it comes to style, one way to do it is to get a throwback pixie cut like this one. Caramel-colored hair is so rich and decadent looking. One of our personal favorite things about it is it’s the kind of color that looks pretty spectacular on virtually every skin tone. Are you ready to grow out a pixie cut into a bob? Longer layers would be the way to do it. Add a little pink to make your transitional style stand out if you’d like. 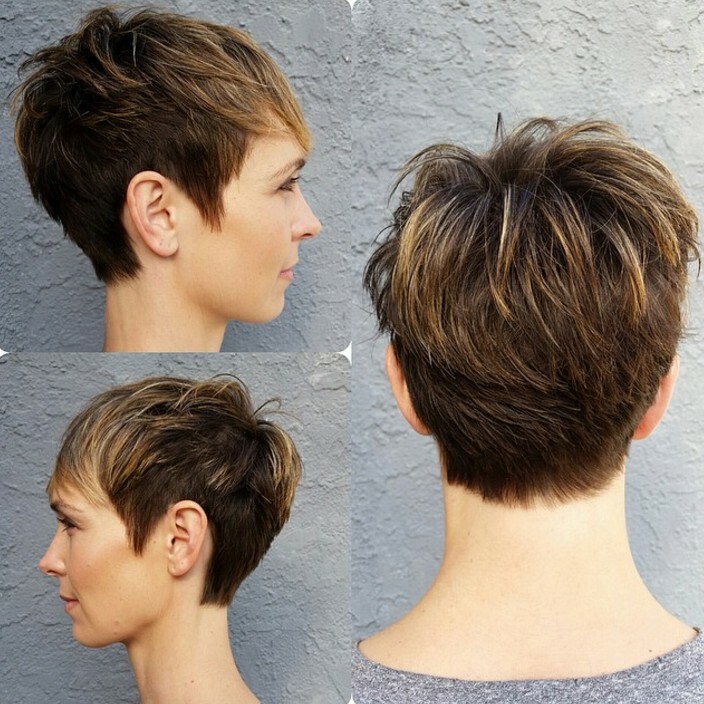 The front blonde highlights on this pixie cut are super cute. So are the fringe bangs that go from the forehead to her temples. 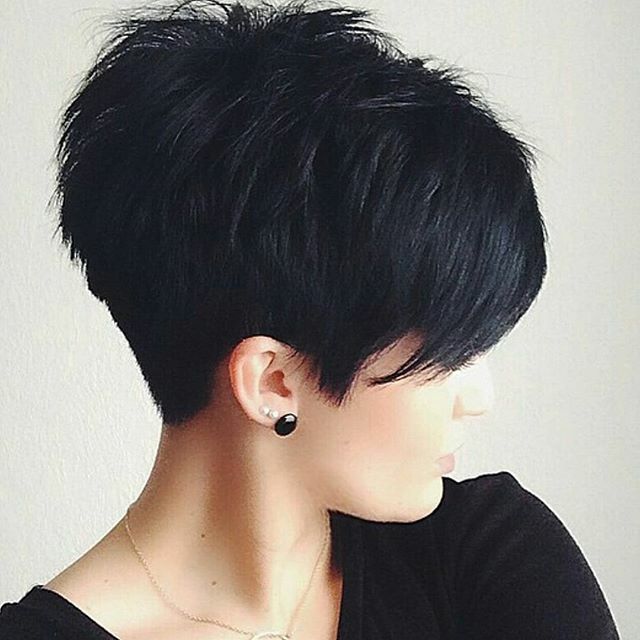 As classic hairstyles go, we honestly can’t think of any other one that says “signature pixie cut” quite like this one!